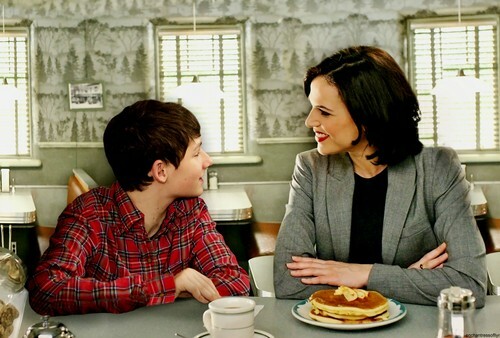 Regina and Henry. . HD Wallpaper and background images in the once upon a time club tagged: photo once upon a time regina henry. This once upon a time wallpaper might contain jantar de férias, jantar de feriado, antipasto, antepasto, brunch, and café da manhã.